There is no surprise that young people are more likely to use social media than older people. But there are surprises in regards to how wealthy young people or using social media compared to older ones. Spectrem’s wealth segmentation study Using Social Media and Mobile Technology in Financial Decisions details the use of social media among three wealth segments, wealthiest of which is the Ultra High Net Worth investor, with a net worth between $5 million and $25 million. There is a huge difference between young and old UHNW investors in terms of YouTube, the most popular site for viewing videos of any sort. While only 27 percent of UHNW investors visit YouTube with regularity, 56 percent of those under the age of 49 do go to YouTube often. The numbers drop considerably from 49 and above. Similarly, Twitter is only visited by 11 percent of UHNW investors, but 38 percent of investors under the age of 49 do so and 26 percent of investors between the ages of 49 and 54 do so. Only 6 percent of investors over the age of 64 go to Twitter. Facebook remains the most popular social media site overall, with 50 percent of UHNW investors using it. Interestingly, 64 percent of investors between the ages of 49-54 go to Facebook, and only 50 percent of investors under the age of 49 use the popular communication website. Even 45 percent of UHNW investors over the age of 65 use Facebook. LinkedIn is the social media site most often recognized as a business tool, and 42 percent of UHNW investors go to LinkedIn. Investors between the ages of 49-54 are the most likely visitors, with 66 percent, while 62 percent of those under 49 use LinkedIn. Even 34 percent of investors over 64 use the business connection website. 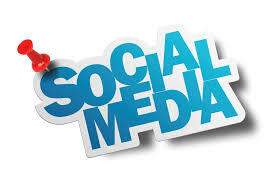 Using a social media website is one thing, using it for financial and investment purposes is another. Investors were asked to rate Facebook and LinkedIn for the possibility of reading financial blogs on a 0-100 scale, with “0’’ being no use and “100” being certain use. Overall, Facebook was rated at 12.67, although those under the age of 49 rated it at 31.24. Similarly, LinkedIn was rated at 17.92 overall, with the youngest segment rating the use of LinkedIn for financial blog reading at 40.71, which is a solid indication of potential use. Overall, using a website operated by a financial provider or advisor rated at 53.69 for blog reading, and other financial websites rated them at 47.51.